A large flock of Barnacle Geese from the many thousands wintering on Islay lifting of from a field at Rockside Farm. 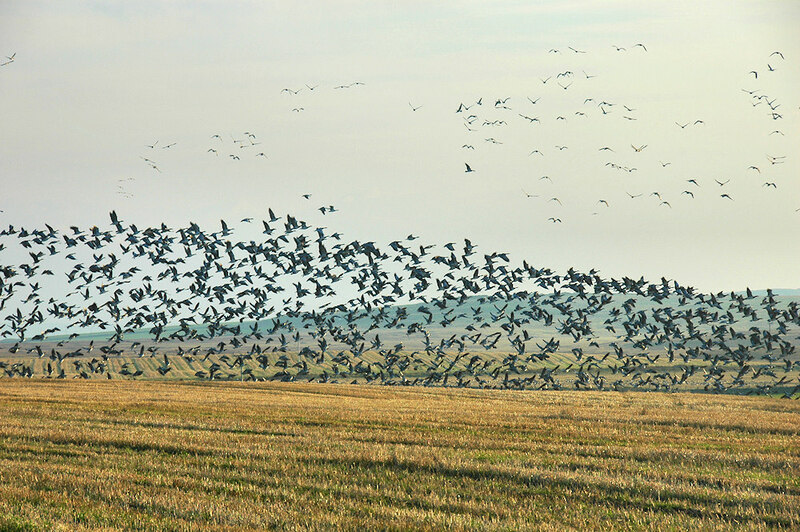 This entry was posted in Landscape, Repost, Sunny Weather, Wildlife and tagged Barnacle Geese, Islay, Rockside Farm by Armin Grewe. Bookmark the permalink. Hopefully the cold weather isn’t stopping them for much longer and they will soon be gone to let you get back to business. @islayblog Great image Armin, possibly not so great for the distillery. Thanks for bringing your blog to my attention.